Our photographer Laxmi Prasad Pattanayak observed Kumara Purnami Janha in a different way. He wanted to watch the moon before the full moon night. 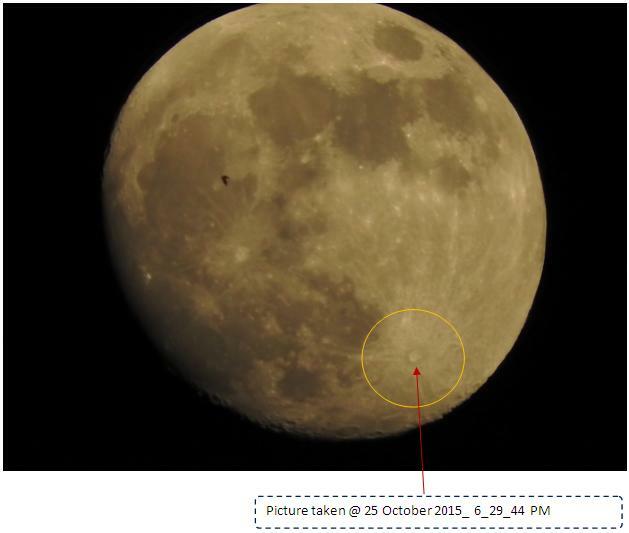 While focusing his camera on the moon on 25th October, he stumbled upon a spot that riddled him a riddle. He captured it. He searched through his lens the next evening and also found the same spot. 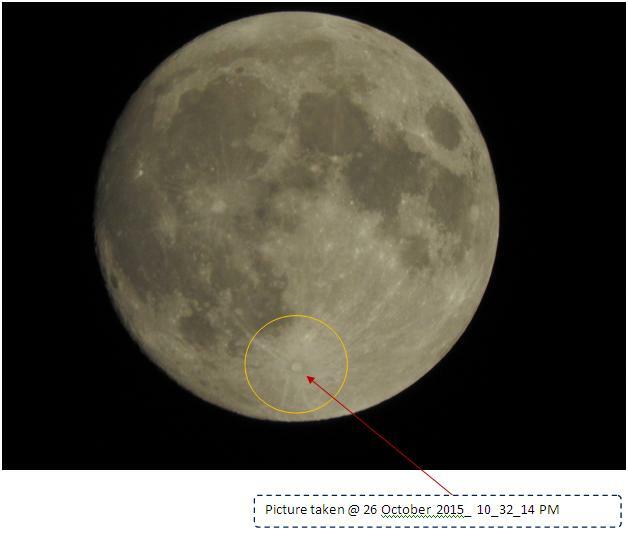 We place below two pictures of 25th October and three of 26th with the time of the clicks noted in accompanying boxes. The pictures are earmarked with circles and arrows. 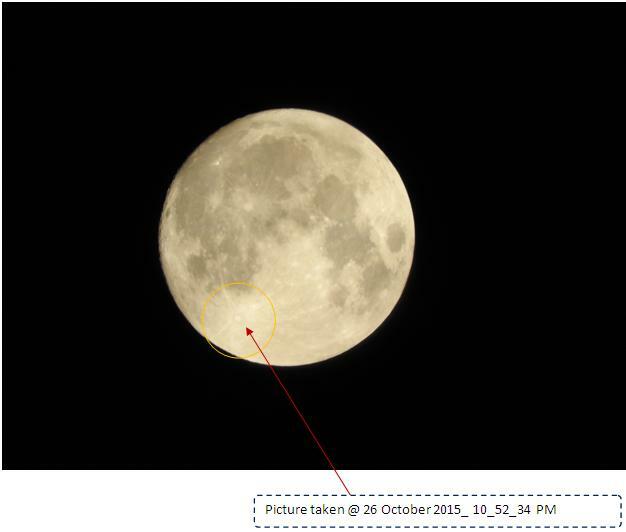 Looks to be a perfectly circular marked area with possible more than one emanating lines of similar projections upward ……… something like one can visualize the veins like structure in a peeled Orange from the bottom or top as the case may be. 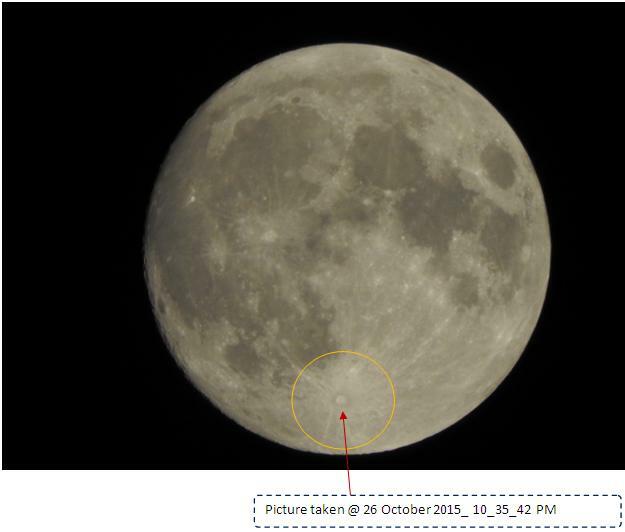 Interesting though ……… hope this comes to the notice of some experts in the field ………. 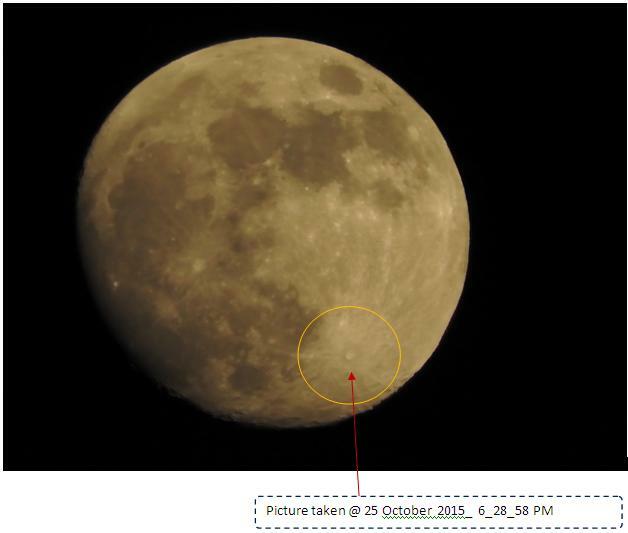 Let’s pray Laxmi Prasad has hit a unknown pocket of Moon Geology Aspect to keep him alive for Centuries ahead. Thanks for the detail Photos.